This notable mens article will be focusing on someone who is lesser known to most people than our last notable men article and also from a different era. We’ll be talking about Pat Tillman in this post and why he makes it into our section of notable men. First off Pat Tillman was known for two main reasons; first reason was he played football in the NFL for the Arizona Cardinals. Second he joined the army shortly after 9/11 happened and join the army rangers (Special Forces) to serve his country. To start anyone who is able to make it through the Rangers acceptance program is considered to be tough as hell. I’ve heard on numerous accounts on how grueling the program is and it really breaks men physically/mentally. To do this already warrants my respect but we’re just getting started so strap in. Tons of great men left joined the military after 9/11 to fight for their country which I greatly respect but Pats enlistment was much more noticeable. Pat had just turned down a three year 3.6 million dollar contract with the Arizona Cardinals to enlist to where he was making under $2,000 a month. It takes a special kind of man to be not only being able to turn down that much money but to turn it down for the purpose of going over into a hostile environment risking his life. From the things I’ve heard about Pat, through reading and the documentary he wasn’t just a tough guy but he was very educated with opinions on just about everything with a unique outlook on life. 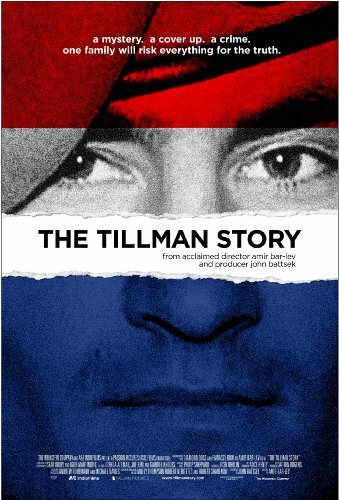 This documentary is a great watch that helps give you a better idea of just who Pat Tillman was. I wish the entire thing was just showing the greatness of the man but I know they had to talk about the controversial side of his death which I understand completely the reason for focusing on that. Without going into too much detail on it, his death looked to be a cover up of friendly fire that the government tried to spin off as he died from enemy fire. The documentary does a great job covering this with actual recording of the trails and questioning certain people. I highly recommend you watch the documentary, it was on Netflix when I watched it but I’ve heard it’s now on Amazon Video (Not 100% sure of this). Either way if it’s been taken off of both I would suggest you to even buy the DVD of it. Overall I truly believe that Pat Tillman is what the definition of an Alpha Male is or should be and I hope to meet someone that compares to him at some point in my life. Pat influenced so many people that you can find his memory just about everywhere like the Pat Tillman Veterans Center at Arizona State University being named after him and a statue of him outside of the Arizona Cardinals stadium to name a few.